After a leisurely summer break it was back to work yesterday with a LimbPower event at the Small Heath Wellbeing Centre in Birmingham. 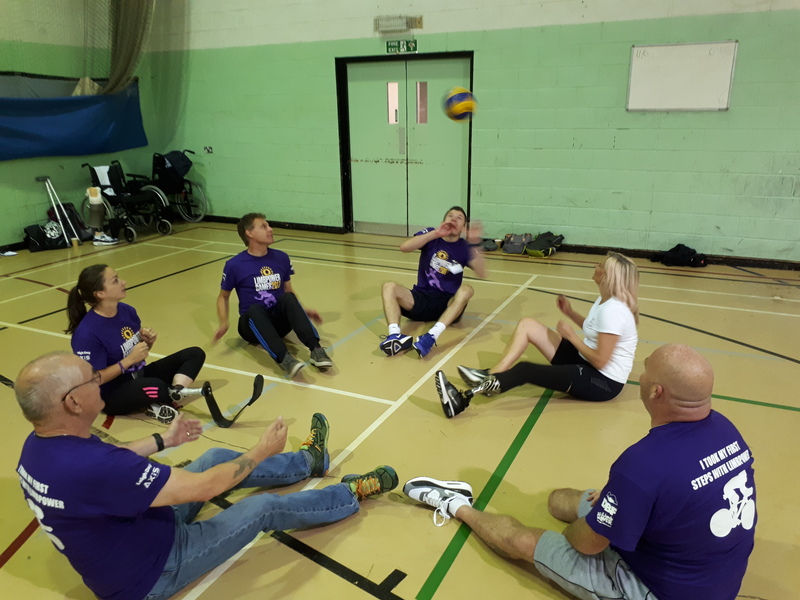 The day provided participants with an opportunity to try a range of different sports and sitting volleyball was one of the main attractions. Around 20 players had a go – getting used to sliding on the floor, learning a few basic techniques and taking part in some fun games and challenges. The feedback on the sessions was really positive with several people commenting it was the highlight of the day and 7 people expressing an interest in playing more regularly. There was some real potential from those taking part so I’m sure they’ll be seen again on court in the Volleyball England Sitting Volleyball Grand Prix or even within the GB Sitting Volleyball Programme. Anyone interested in playing the sport more regularly can email sittingvolleyball.information@gmail.com to find out more about how to get involved or where their local club is.